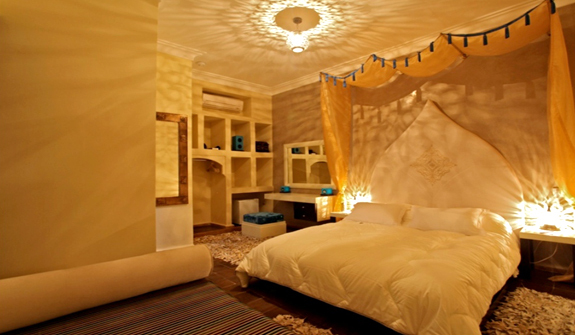 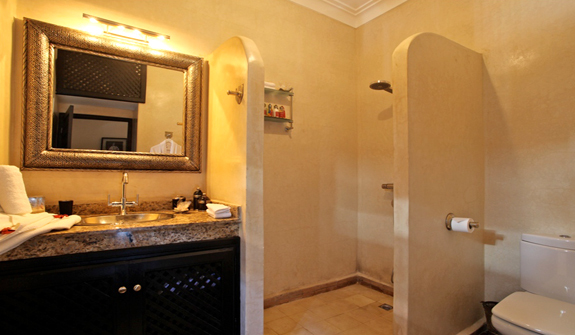 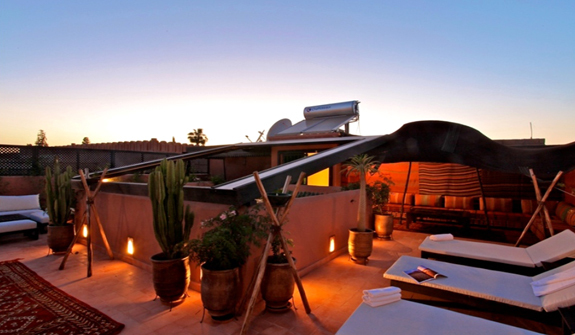 Riad Amiran, Riad Amiran in Marrakech, instant booking & guaranteed best price. 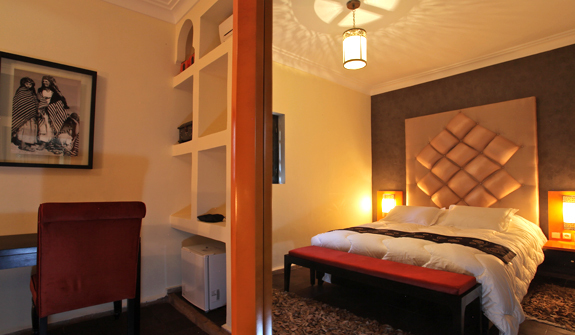 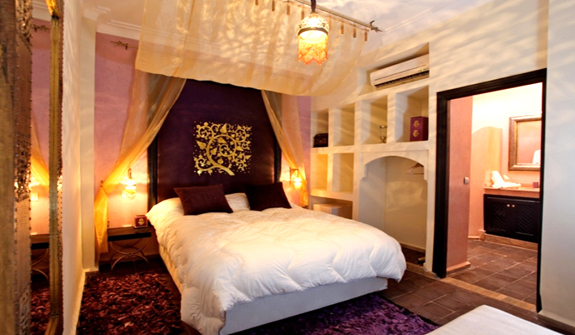 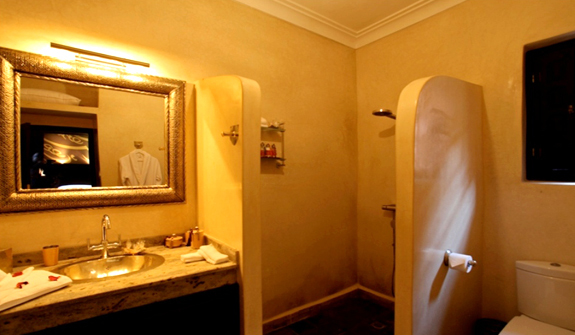 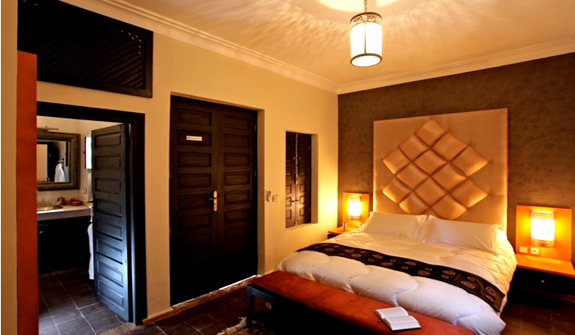 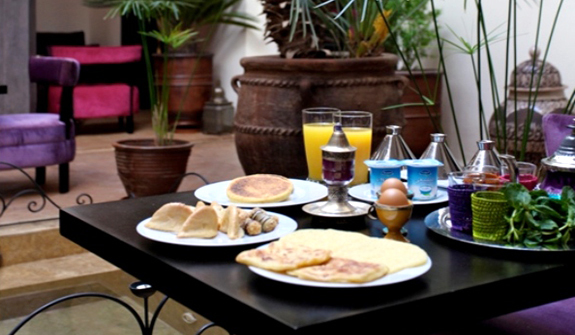 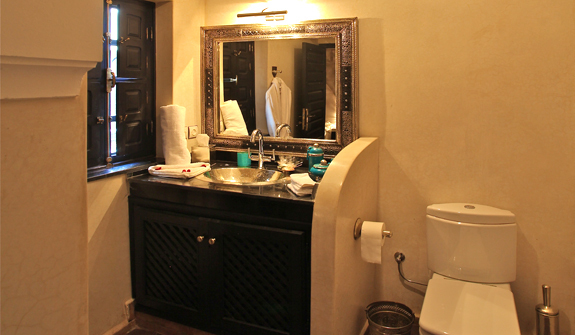 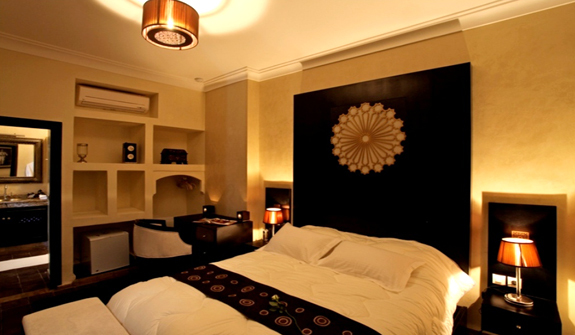 Riad Amiran is located in a pleasant area called Bab Doukkala, not far from Jamaa el Fena square (15 minutes on foot). 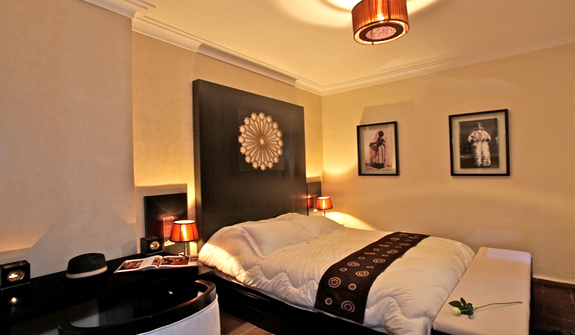 It is close to the Majorelle gardens ane the new city too. 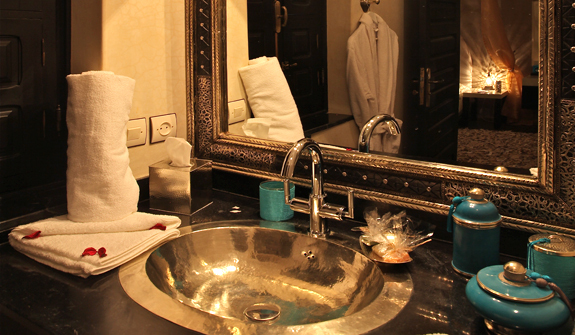 If you play golf, a parking located 50m away from the Riad will facilitate your trips to Marrakech's different golf courses. 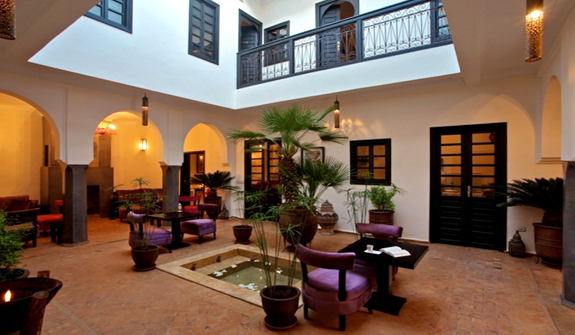 The Riad Amiran is a luxury guest house, open to all the guests looking for peace and serenity inside Marrakech's old city. 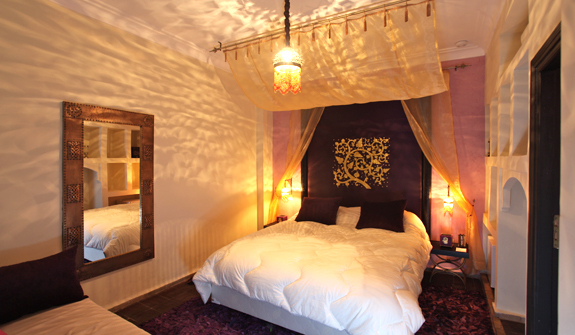 Riad Amiran offers 5 beautifully decorated bedrooms with private bath, air condition, heating…, 2 comfortable living rooms, one dining room, a patio with a dark tadellakt fountain and a superb terrace with solarium giving on the Medina and the Atlas Mountains. 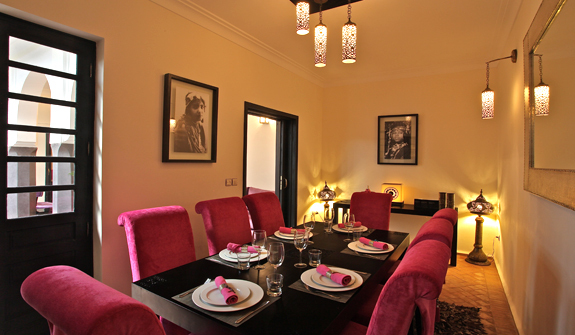 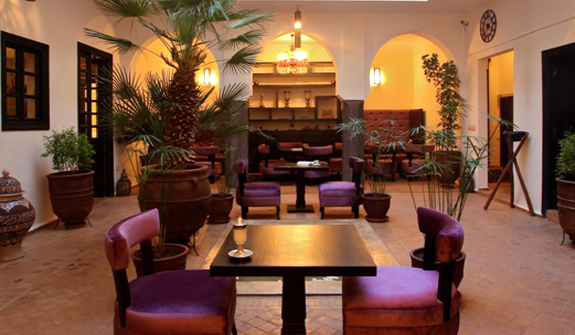 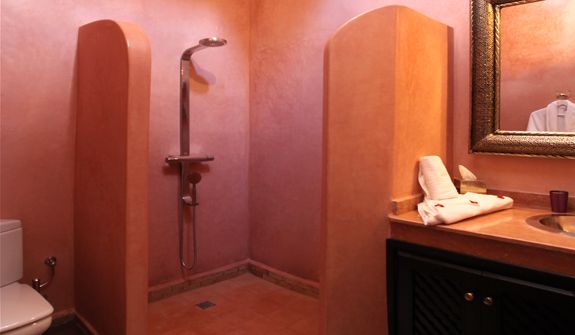 The riad Amiran has also a restaurant with the best of Moroccan cuisine. 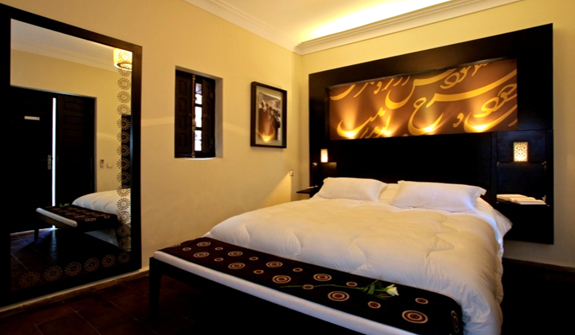 This rias is well recommended with its excellent service and price. 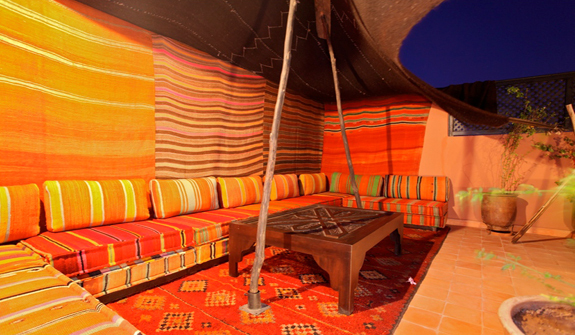 Equipée de tout le confort moderne, décorée avec sobriété et raffinement dans un style contemporain aux notes orientales.